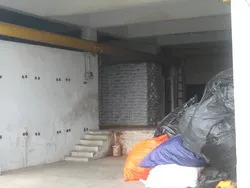 Established in the year 2008, We Gopinath Enterprise Private Limited are Manufacturer, Exporter, and Importer a wide range of HDPE Tarpaulin Products. Our firm is a pvt. ltd. co. registered under the Indian Companies Act 1956. At our premises, these products are manufactured following the set industry standards and quality norms. The professionals of our firm make use of latest machines and instruments to design the offered range so as to provide the clients with high standards products. Before the final deliver, our quality analyzers test the offered range on different grounds to ensure their flawlessness. The range of HDPE tarpaulin products offered by us are widely acclaimed in the market for its features like flexibility, high tear strength, fine finishing, light weight, colorfastness and durability. 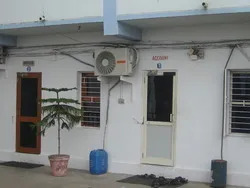 In order to meet the variegated requirements of the clients with ease and perfection, we have established an ultramodern infrastructure facility. This facility is installed with all the modern machines and equipment that enables to retain excellent production rate. To manage all our business activities in an efficient way, we have recruited a team of diligent and sincere professionals. These professionals strive to offer the clients products exactly as per their requirements. Our researchers conduct various surveys in both the national and international market to understand the exact requirements of the clients and include new products accordingly in the existing product line. 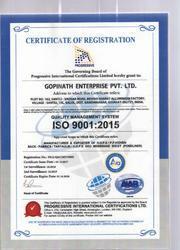 We ensure that only quality products reach the clients’ destination within the postulated time frame. Owing to the modern facility, quality products, client-centric approach, and on-time deliveries, we have been able to muster a huge client-base for ourselves. Our major markets are situated in Australia, Indian Subcontinent, Caribbean, East/Middle Africa, North Africa, South/West Africa, East Europe, East Asia, Central America, North Europe, Middle East, South America, South/West Europe, South East Asia, and North America. Under the visionary guidance our managing director, ‘Mr. Bharat Agarwal’, we have been able to reach the pinnacle of success. His in-depth knowledge, excellent leadership qualities, brilliant managerial skills, constant motivation, and business acumen have helped us spread our wings across the globe. To be recognized as one of the best brands by delivering quality products at the best price. Large investments in innovative technology and R&D. A total manufacturing capacity of over 3600 MT per annum. We are blessed with a team of dexterous professionals, which work in sync with one another to carry out all the business related activities in a streamlined manner. These professionals are well-versed with all the pros & cons of the market and constantly strive to bring innovations to the existing product line. We have hired a team of deft quality analyzers, which stringently examines the manufactured products on varied parameters to ensure their compliance with international quality standards. Moreover, we conduct various seminars and training sessions to keep our employees motivated and updated with the changes in technology & market conditions. To stand strong in the market, we have always followed a customer-focused approach to satisfy the clients in every aspect. This approach has helped us become the preferred choice of the clients among our counterparts. Our technologically advanced facilities and experienced team of professionals help us serving the clients with all their requirements in the best possible manner.